While they aren’t hard to make, these tasty treats do require time, specialty ingredients and some patience. But oh are they worth it! The first part of any Pok Pok DIY project involves taking a trip to an Asian market because Ricker is pretty serious about what ingredients he recommends for each recipe. If you’re making Thai fried rice, the rice, soy sauce and fish sauce should also be from Thailand. 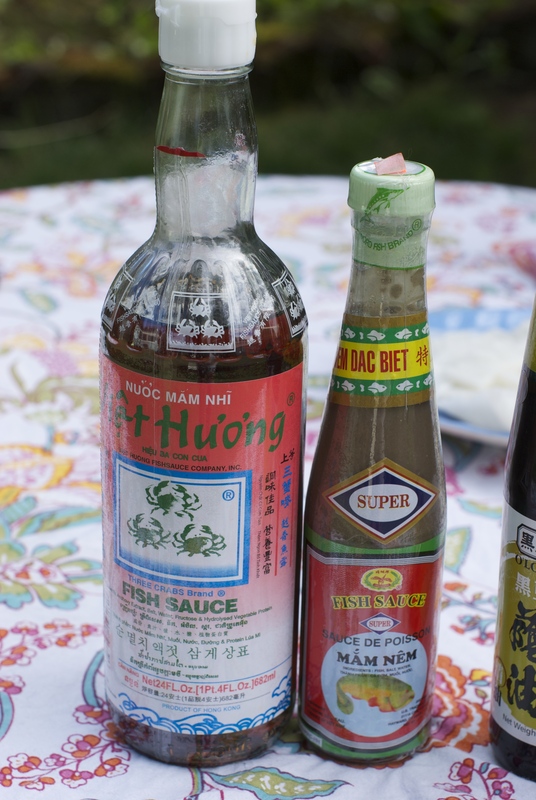 Thanks to him, my fridge is practically bursting with various fish sauces and yet to make this dish, I had to hunt down another — a bottle from Vietnam. This should have been a fairly easy mission, however I was having a bad day at the market and couldn’t find the right anything to save my life. Frustrated, I grabbed the only bottle of Vietnamese fish sauce in the store and decided to call it a day. Looks and smell aside, mam nem is supposed to be delicious, so one day it will get its turn. For this task though I ended up at Fubon, the massive Asian market of my dreams, and procured a more familiar bottle of 3 Crabs Vietnamese Fish Sauce (produced in Phu Quoc and in Thailand), which was exactly what I needed. From there, things were all good. The wings marinated in fish sauce and garlic for five hours until they were ready to be tossed in tempura batter and rice flour and fried up. Once the first batch was done, I couldn’t resist tasting one before I made the sticky fish sauce reduction. They were awesome! Even without the intense sweet and salty tang, they were great. In fact, I need to start marinating more stuff in fish sauce. Like immediately. Even without the sauce these were delicious! Then I made the sauce which is a bit like a fish sauce caramel. 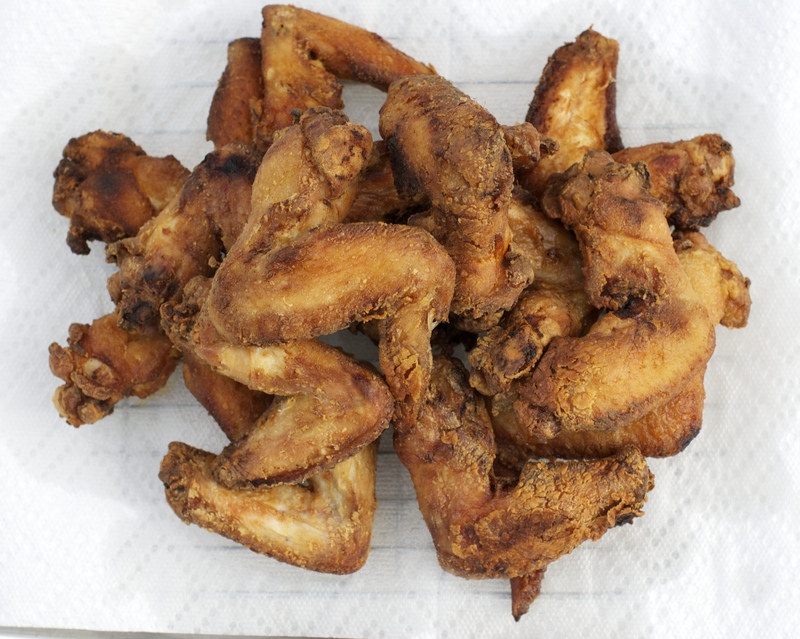 Once it has reduced, the wings are tossed in it and then topped with tiny bits of crispy fried garlic. Then it’s time to savor the magic! 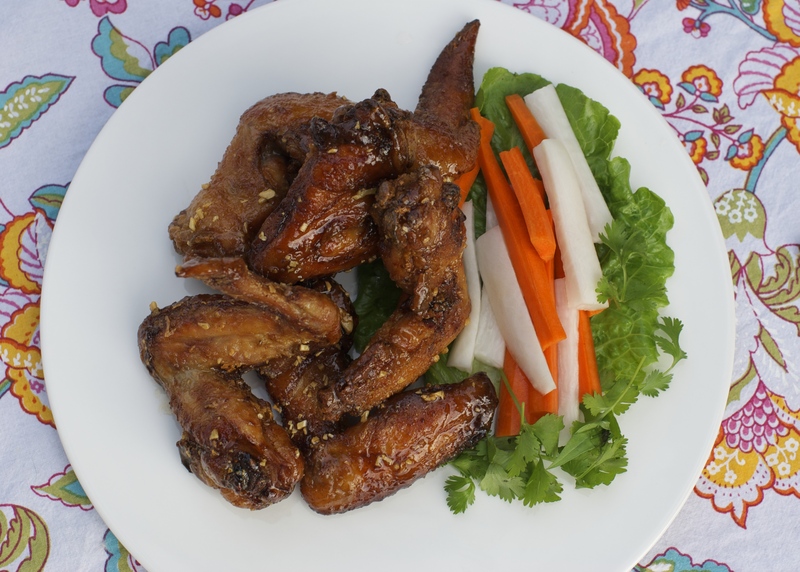 Serve the wings with homemade daikon and carrot pickles (a must!) and feel free not to share. Hey you slaved over them — you should get to enjoy every bite! Recipe disclaimer: In previous posts, I’ve encouraged you to buy the book to get the recipe but I’ve always been lucky enough to find a “printed with permission” link in case you’d rather go that route. All of those times, the recipes were written exactly as they are in the cookbook. This time however, the online recipe is very different from the one in the book. I’m sure it’s still great and it certainly cuts down on some of the steps and ingredients, but I can tell you the recipe in the book is sticky, sweet, funky flawlessness. 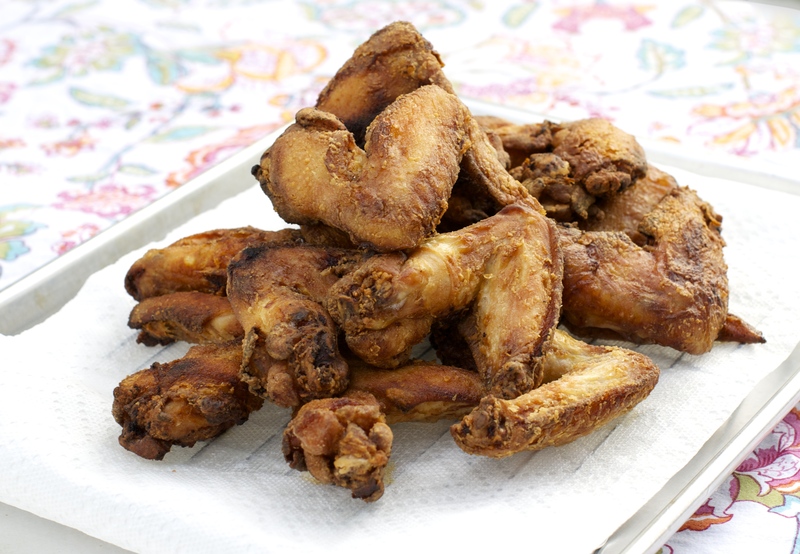 It also has the recipe for the amazing pickles which complement the wings perfectly. This entry was posted in Appetizers/Party Food, Drinking Food, Edibles, Entrees, Poultry and tagged andyricker, chicken, food, fried, missionaccomplished, pokpok, Portland, recipe, wings by Jessamine in PDX. Bookmark the permalink. Yours looks EXACTLY like the photo! I’ve got the book. I’ve got that kind of fish sauce in my refrigerator. I have no excuse. Oh, and by the way: You rock! Thanks! With every recipe success I get more motivated to try the complicated ones. 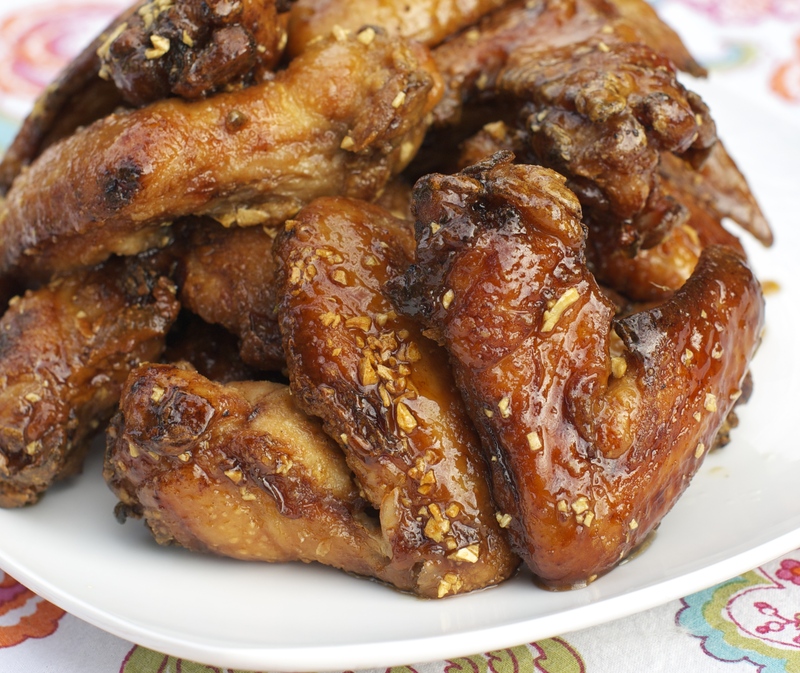 And these wings are so amazing — you really need to make them soon. I ate them for 3 days straight and never got tired of them! These look perfect and just like the wings I got at the restaurant! I have just resolved to make these by the end of the summer. The 3crabs is a staple in my mom’s kitchen and is easy for me to find at the local grocery, luckily. That other stuff though? It does really stink. I love all your pok pok adventures! Let’s me live vicariously through your kitchen. I was trying to talk my hubby into going to Portland for a long weekend just to eat. 🙂 He said I should just make him wings instead. Ha! I’m glad to find someone familiar with mam nem. I really shouldn’t have bought it — even when I was in the store I knew it wasn’t the right stuff but I just had a ‘why not’ moment. Who knows when I’ll actually feel brave enough to open it! And you totally should plan a Portland a food weekend! So many new places are constantly opening up here — there’s just too much good stuff to eat. I feel like even though I live here I have a list that never gets shorter. In the meantime make these wings, it’s crazy how legit they are. They taste just like the real thing! You are one dedicated cook! I’m glad they turned out great, after everything you went through! Me too! =) It was one of those perfect meals where you sit down and everything is as delicious as you hoped it would be! those photos are amazing—seconding what Kerry says: you are dedicated! 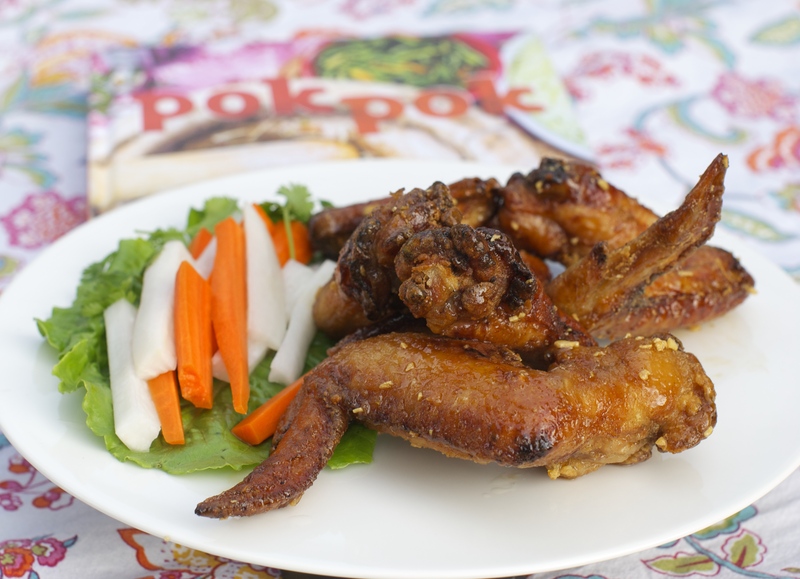 Am going to start calling you “the Pok Pok girl” 🙂 Thinking I would not be able to stop eating those wings. Thanks! And yes, I am definitely on a Pok Pok spree. Going to have to move on to a new book soon just to change things up. My husband bought a copy of SPQR and so maybe it’s time for Italian food! Eek! Good to know! And thanks — these were an all-day process but in the end — so worth it! 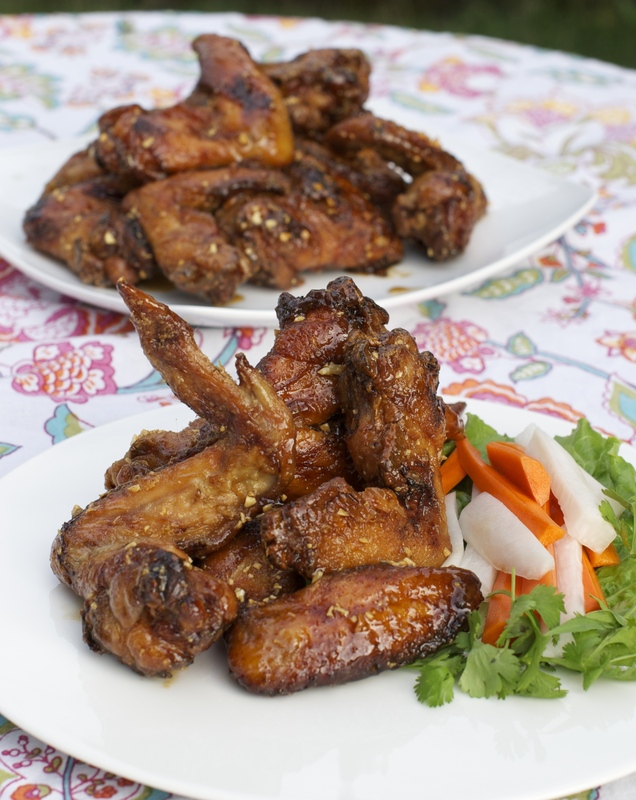 sorry I’m new to your blog and have just spent the last 1/2 trying to find your recipe for the Pok Pok chicken wings. You have an article about them (July 2014) but I cannot find the link to the recipe What am I doing wrong. The link is in the last paragraph — it will lead you to the recipe that Food & Wine printed a few years back. You can also just google Food & Wine and Ike’s wings and it will pop up. 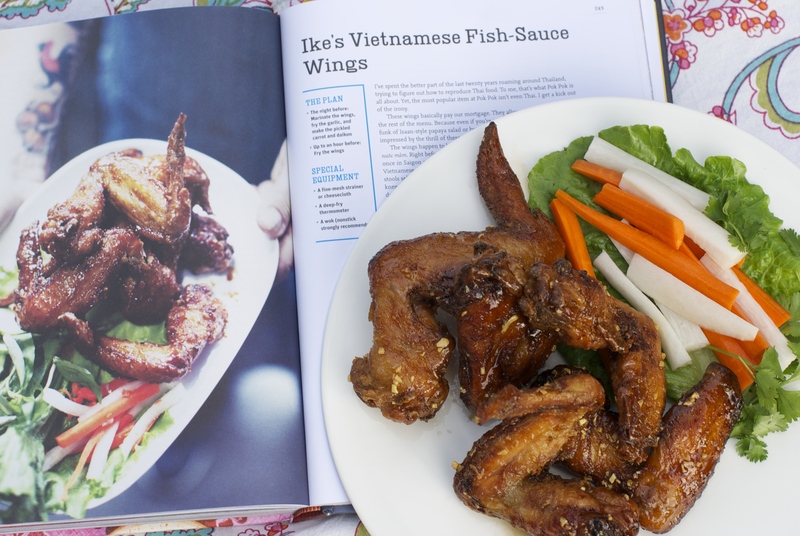 My disclaimer is that this recipe (even though it is from the chef of Pok Pok himself) is different from the one in the cookbook. It’s more streamlined for the home cook. To get the official recipe, you’ll need to buy the book!